We are asking for assistance in prolonging the life of the provided target frames here at Northeastern Kentucky Fish and Game Association. These target frames are located on the Club House range, DeZarn 1, 2 & 400 yard ranges. And are provided by the club for members use. Please be aware of the following events that can damage the frames prematurely. Do not post targets on or in front of the wood portion of the frames. Do not tack balloons, mount clay targets, or place shotgun shells on the wooden rails/frames. Ground targets such as water jugs, cans, etc should be placed against dirt backstops, NOT at the base of target frames. 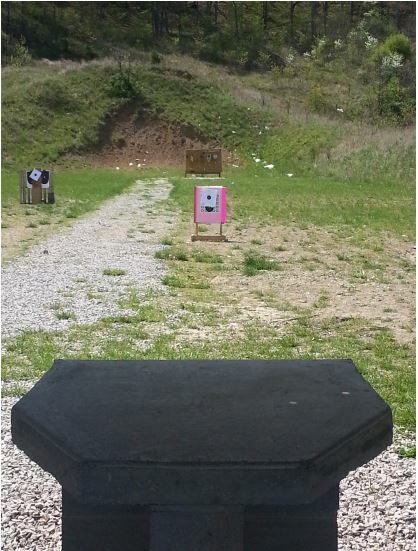 When using portable target holders do not place them in front of fixed target frames. 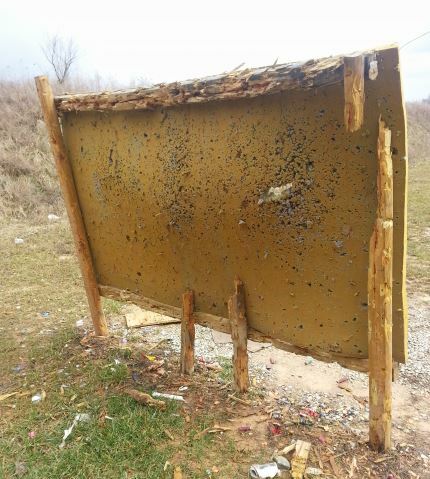 A bullet passing through the portable target frame and impacting on fixing target frames increases the need for replacement and or repair. Also be aware that ricochets and ground shooting (only with targets against dirt backstops) can impact frames as well. Remember, targets of any type should be removed once shooting is completed. Please help us keep ranges clean.